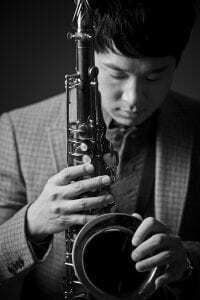 Richard Rho is an accomplished Jazz Saxophonist and Teacher who is currently serving as a Professor at Kwang Woon University in Seoul South Korea. He was born in South Korea and immigrated to United States when he was in elementary school. Richard started to play saxophone in seventh grade and upon high school graduation was awarded with the Bill Clinton Presidential Award. He then attended Berklee College of Music where studied under saxophone master George Garzone and formed a Jazz Band called “Prelude”. With this “Prelude” jazz Band, Richard released 10 albums with Sony Music and performed in numerous countries around the world. He has also featured in movies as an actor and performer; “My Pet” starting Korean movie stars Jang Geunseokand Kim Haneoul, and an independent film titled “Jazz Quartet” directed by YooDaeaul. With a Jamey Aebersold Scholarship, Richard earned his Masters in Music at the Jacobs School of Music at Indiana University where he studied with saxophonist Tom Walsh and jazz educator David Baker.In both 2012 and 2013, he was voted as most popular saxophonist in the “Jazz People” Magazine reader’s poll. In 2015, Richard toured with the world known soprano Jo-sumi. Richard Rho is currently full time professor at Kwang Woon University located at Seoul and has dedicated himself to the promotion of Jazz music in Korea in areas where Jazz music is not normally exposed.